Efficient communication is essential to every medical facility. At BEC Integrated Solutions, we provide the tools and systems necessary to enhance communication between patients and staff. We do so with our BEC Room Status and Wireless Room Status systems. These systems have been an asset to hospitals, clinics, nursing homes and a variety of other medical facilities. The BEC Room Status System provides visual light signaling to locate or summon individuals within a medical facility. 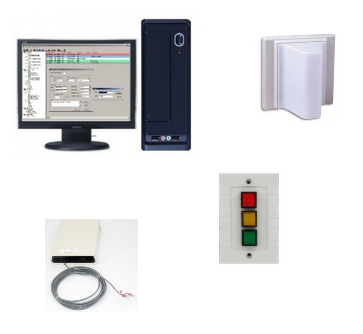 This system provides an efficient way for staff to communicate without having to use the intercom or speaker system. If staff should need additional help with a patient, pressing a button will quietly signal to others the request for additional help. The BEC Room Status System provides a continuous update of all areas within the facility to give staff peace of mind in knowing the whereabouts of patients and medical staff at all times. Our Wireless Room Status System gives many of the same benefits of a usual system but with the enhanced convenience of wireless operation. 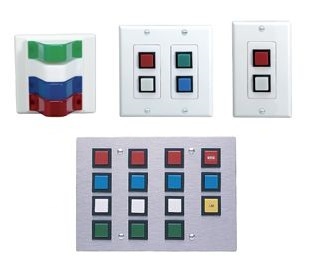 While integrating the master console, wireless repeater, numerous options of wireless push button stations, dome lights and pocket pagers, the Wireless Room Status System continuously combs for status updates while updating staff of the needs of each room. This proficiency in communication streamlines many of the usual protocols of medical staff by locating patients and helping to transport them without any trouble. With an innovative design and reliable wireless connection, it’s no wonder medical facilities all around the world are relying on the Wireless Room Status System. BEC Integrated Solutions has been the industry leader for over two decades. Our customers know that they will experience unparalleled customer service with each interaction. Our team of experienced system designers with help guide you through each step of the decision-making process. Each time you call, you’ll be connected with a real person who can help answer questions and custom diagrams for your facility. We don’t charge sales tax outside of New York and give you a dedicated sales rep for your project. Experience the difference by contacting BEC Integrated Solutions today!